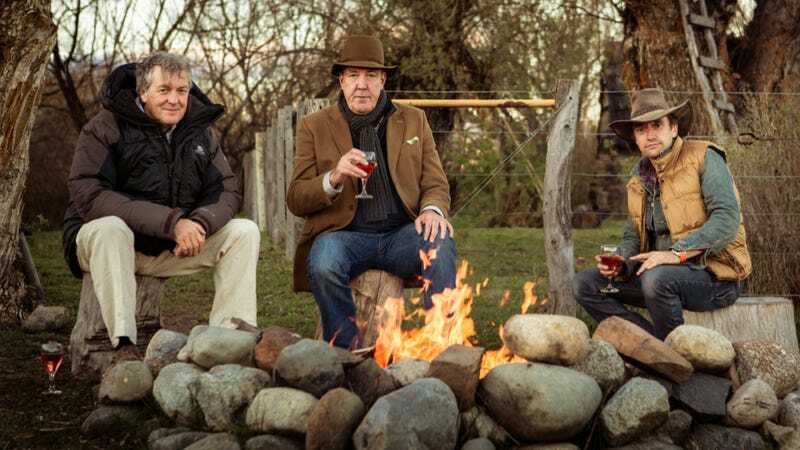 Top Gear, the greatest motoring show the world has ever seen, is dead. It was taken from us with one punch to the face, and we were all shocked. But according to James May, its time was numbered anyways, because the latest contract the hosts were going to sign was also supposed to be the last. There we were, all three of us, on the brink of a new three-year contract to make Top Gear, after which we would definitely chuck it in with dignity and hand the reins to a new generation. There were a few details to resolve about time frames and other mundane stuff, but the groaning draft version of this document was actually sitting on my desk. In fairness to Top Gear’s audience, I think we were all feeling that this thing was going to go on for a few more years at most, and not decades. Ideas were getting stale. People had become caricatures. The most exciting thing that had happened to the show in years was when the hosts went off-script. Sure, it was still better than anything else, but it wasn’t quite the same as it once was. And with scandal after scandal cropping up with increasing frequency, it was starting to look like the show starring the May, Hammond, and Clarkson was going to be forced to end before a planned, dignified finale could ever come to fruition. The show needed new blood, and trio needed to do something new. Unfortunately, they didn’t get to see the show pass to a new team the way they would’ve liked. But we’re at the point where it’s all water under the bridge, and hopefully whatever comes next from both the original Top Gear team and whatever the BBC is working on isn’t total garbage.